Sarah first says, “Goblin King, wherever you may be, take this child of mine far from me.” Then the goblins say her phrase didn’t even start with “I wish,” meaning the one she said didn’t, but the one she’s suppose to say does. And why would a goblin king take the form of snow owl? I can trace a ton of my childhood fantasies to this movie! And a lot of my desires to be a writer! For example, I adore the idea of a faraway Goblin King falling in love with a young woman. It’s a seed for at least four story ideas I’ve had. Haha. I guess it’s not super original, is it. [White Ajah Fantasy Week] Labyrinth! ~ Trivia Game! That's a good way of looking at it, @Sajius. It would have been nice if that could have been developed more in the series. This is a thread to discuss the Labyrinth movie. Rhea and I will re-watch the film tonight (about 7pm eastern time), and we'll post as we go through. I'm going to give a spoiler warning right away! DON'T READ THIS THREAD IF YOU HAVEN'T SEEN THE FILM! We might talk about all sorts of things as we're watching it. Read at your own risk! And add your own thoughts, even if you're not re-watching it with us! I feel this idea of journey before destination is a large part of the fantasy genre. How does it tie into the film "The Labyrinth"? Let's take a look.... When Sarah first enters the labyrinth, she runs into a worm. The worm gives her advice with navigating the labyrinth, and sends her on her way. As Sarah goes down one way, the worm tells her, "Don't go that way! Never that way!" Sarah goes the opposite. After Sarah leaves, the worm says, "If she'd 'ave kept on goin' down that way she'd 'ave gone straight to that castle." This is so interesting to me. What would have happened if Sarah had gone straight to the castle? Would she have had the power and resources to take Toby back from Jareth? Or was the long way there the thing that saved her in the end? This trope happens many, many times in films and books. It seems as if the character needs to the do the opposite before being able to meet their goal. Or the character must be betrayed in order to be saved in the end. One time in particular is within The Wheel of Time itself! Here's a quote from Brandon Sanderson: So, is the journey through the labyrinth more important than the destination? All good points, I think. 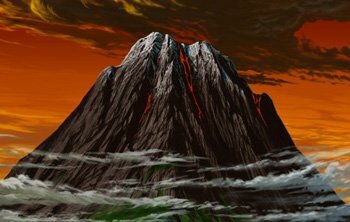 But I also feel that Fain's evil is a counter to the Dark One, not a replacement. When Moiraine tells the story of Shaidar Logoth, she says that their dedication to eradicating the Shadow turned them just as evil as the Shadow. Kinda like how Sirius Black says in the HP series, "The world's not divided into Death Eaters and good guys" (or something like that). Shaidar Logoth is a different evil that the Dark One. It's what the Children of the Light would have become if Galad hadn't taken over and rid them of that blinded mindset. I think I'm doing a poor job of explaining. It's like, people can be evil and not be associated with the Shadow. It's a separate, different evil. I looked through the Theoryland interview database and didn't find any answers there, either. Chapter 1, page 8 in the American paperback: The prologue is the man who calls himself Bors at the darkfriend social. So I think this is placed her to make us question. But I wonder where she really did go. And that she wouldn't take Lan with her is suspicious. That happens in chapter 22, and they live in Arafel. Even if she visited them twice, Moiraine is only gone a few days, so she couldn’t have gotten there and back in time. I'm re-reading the series and realized I didn't know where Moiraine disappeared to at the beginning of The Great Hunt. It's right after the first Darkfriend meeting--and we see several Aes Sedai and a Shainarin--so I think we're supposed to half-think Moiraine might be one of them. But, obviously she's not. Is she visiting other retired Aes Sedai, like when she later visits Aldaleas (sp?) and Vendane (sp?). A new announcement from Amazon Studios list The Wheel of Time as one of the shows they’ve ordered for Amazon Prime. An interesting spin on the story, which does feature strong, female characters. You can read the whole article from Variety. 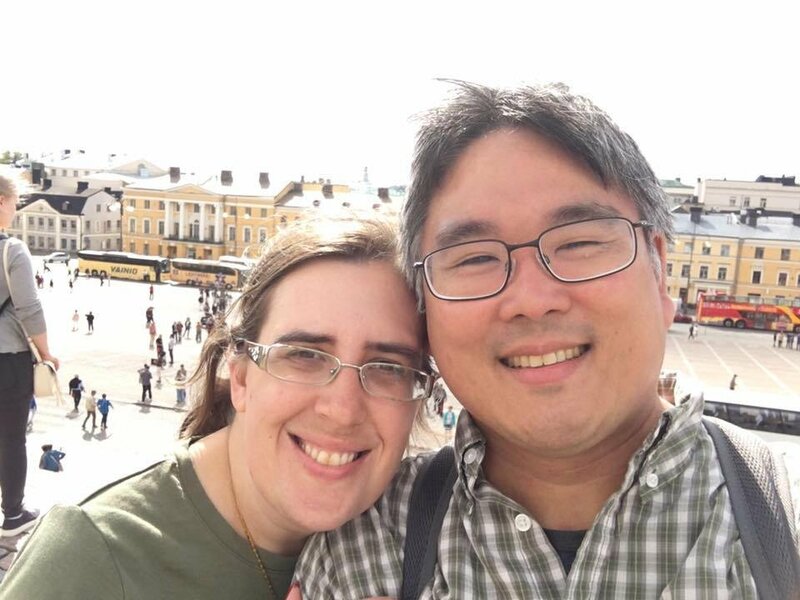 Dragonmount's co-leader, and JordanCon founder, Jenn Liang, and her husband Jimmy Liang, will be next year's Fan Guests of Honor at Kansas City's ConQuesT. From the ConQuesT site: ConQuesT takes place every Memorial Day weekend, at the end of May (May 24-26, 2019). The year's theme is "mad science and experimental wizardry." Tickets are on sale now for the early bird price of $30. On November 1, that price will increase. DM News:Happy 20th Birthday, Dragonmount! That’s right, twenty years ago, today, Jason Denzel started up the website Dragonmount. For those unfamiliar with its humble beginnings, Jason wanted a place to converse with other Wheel of Time fans, as well as have a hosting site for his "Dragonmount" animated fan-film he was working on. It’s evolved greatly from its origins, and here are screen shots of Dragonmount’s main page for the past twenty years! 1998: 1999: 2000: 2001: 2002: 2003: 2004: 2005: 2006: 2007: 2008: 2009: 2010: 2011: 2012: 2013: 2014: 2015: 2016: 2017: And 2018: Happy birthday, Dragonmount! And congratulations, Jason, for making this a site we all love and enjoy. We've all been through a lot together, and you've lead us to a great milestone. There’s only more to come! 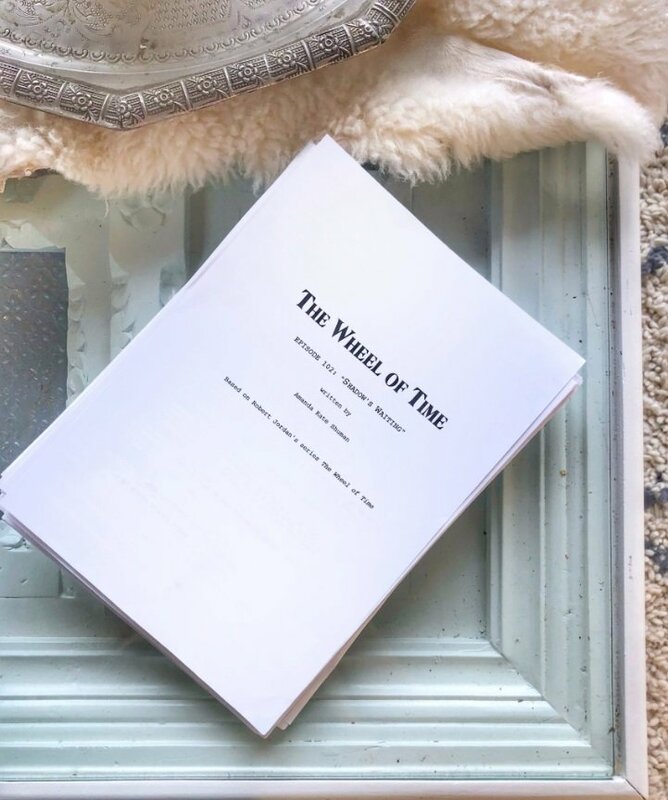 At the beginning of the month, Rafe Judkins—showrunner for The Wheel of Time television series—began to give us hints on Twitter about his involvement and progress with script writing and other behind-the-scenes details. This quickly morphed into #WoTWednesday (it had started out in July as #WoTMonday). Each Wednesday, Judkins has been posting small snippets for us to drool over. Here’s a quick recap of August’s posts: August 8th: “So I thought for #WoTWednesday this week I’d post something that gives you a little insight into how I broke down the books (without giving away too much), so I decided to open to a random page in the EoTW (Brit edition! My original was too beat up) and take a picture.” The page opened to was 19 (of the British, Orbit edition) where Rand and Tam arrive in Emond’s Field and Rand dwells on the meaning of Bel Tine and the coming of spring. Judkin’s inscriptions—as far as I can tell—read “Fun description” when Rand talks about the first lambs of spring, the festivities that will be held, the arrival of the first peddlers, and the possibility of fireworks. Also, Judkins scrawled the words “Tale of Manetheran” when Rand details the history of Bran al’Vere’s inn—and the fact some of the walls are older than the whole village. August 15th: For this post, Judkins switched to Instagram since he shared a more personal (and longer than Twitter allows) story about his connection to Wheel of Time and being exposed to other cultures. “For #WoTWednesday this week, since I’m in Fiji where 30% of the population is Hindu (and the 10 dollar coin is actually a mandala of the Kalachakra or “Wheel of Time”) I thought I’d talk a little about the philosophy of the books and what I want to bring out in the series. One of my favorite things about the books is how they embrace eastern religions and philosophies and put them into an epic fantasy context in a way we haven’t yet seen in tv or film. I plan to lean heavily into the concept of reincarnation in the books and have spent a lot of time talking to people who believe in reincarnation to get a feel for how that affects not only your philosophy of the world, but also the every day way you live your life. I’d love to hear, too, about some of your favorite moments from the books that deal with reincarnation or being spun out again by the wheel of time (mine is Birgitte Silverbow’s return😍). Obviously, yin and yang and balance and duality are important eastern philosophical concepts from the books that I want to bring out in series, but we will save discussions on that for a future trip to China ;)” August 22nd: “For #wotwednesday this week, I’ll do something scandalous and give you an actual snippet from the first script of one of those iconic scenes that simply must exist. Introducing THREE key characters ;)” Judkins then attached an image of the script with some details before the character’s dialogue. “EXT. THE WESTWOOD – DAY We’re higher in the mountains, spring’s touch hasn’t reached here yet. Trees are bare, patches of snow dot the ground. An OLD CART filled with SMALL WOOD BARRELS and BALES OF WOOL makes its way through the wood, pulled by a shaggy BROWN MARE. TWO MEN walk on either side of her, father and son. This is TAM AL’THOR, 50’s, an aging shepherd with the watchful eye of a warrior. Thick chest and broad face, there’s a masculine solidness to him, as though a flood could wash around him without uprooting his feet.” And finally, from today, August 29th: “Hey! Sorry (especially to non-US folks) for the lateness on this. But this #WoTWednesday I thought I’d give another script grab — this time about casting. 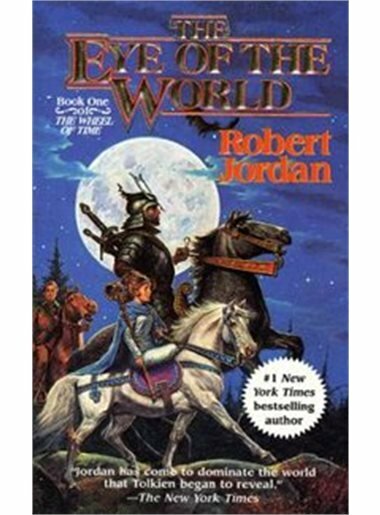 Actual casting is a long way off, but this at least gives you an idea of how we are thinking about it in a general sense.” Along with this text, Judkins attached a part of the script detailing the direction of some characteristics of the Randland residents, stating: “[A QUICK NOTE: race in the world of Wheel of Time is much less defined than in our world. As much as possible, our cast should look like America will in a few hundred years – a beautiful mix of white, brown, black and everything in between]” There’s little we can glean off of these, other than a steadfast knowledge that our beloved series is in good hands. To have a fan at the reigns relieves many of my anxieties about an on-screen adaptation. And even though these are small morsels, it’s consistent and done so lovingly, that it rids me of all the other anxieties. Yes, it will be a while before we have a tangible product. But we know it’s in the works, and it’s getting there. As Lao Tzu said, “A journey of a thousand miles must begin with a single step.” Judkins is taking those first few steps and we will arrive home eventually.